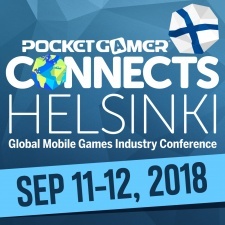 With Pocket Gamer Connects Helsinki just two weeks away to the day on September 11th to 12th, we thought it was high time to take a closer look at each of the 12 conference tracks on offer. Today, we’re jumping into what’s on show in our Indie Track. Packed with an array of helpful and insightful talks from the prominent Indies of the industry, it’s sure to give any aspiring developers the inside scoop on making it in the games biz. 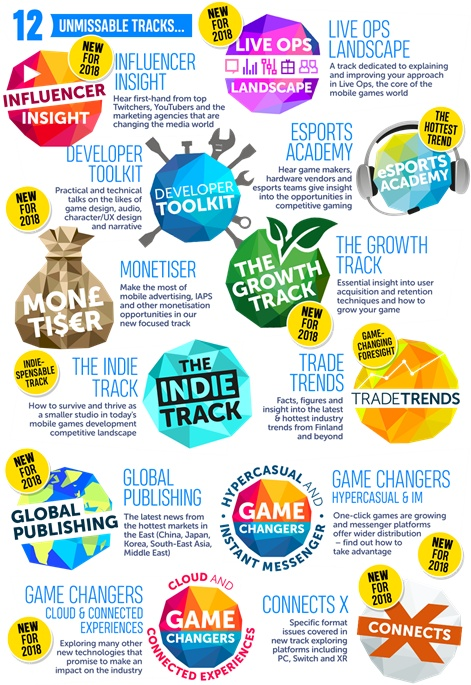 The Indie Track also holds the esteemed position of being one of our six reasons to attend Pocket Gamer Connects Helsinki if you’re an indie. 10:00 - Kicking things off with a keynote is Fingersoft and Round Zero publishing director John Rantala with some insight into the companies’ data-driven approach to mobile game publishing and game evaluation. 10:20 – Following on is a session which pitches adult games as a credible option to developers, amidst their rising popularity in the games market. 10:40 – Swiftly thereafter comes indie developer Adriel Wallick with a session focusing on what she has learnt following a year of organising games jams. 11:00 – Want some insight into how to forge a successful business without investment? Then Vera Velichko’s session may be just what you’re looking for as the Owl Studio founder recounts how the studio racked up a head count of 50 in three years. 11:20 – Next up is Seriously VP of games design Reko Ukko on how to design a successful game and enduring IP, with the studio’s 2014 game Best Friends offered up as a case study as it hit 86 million downloads since launch. 11:40 – Nopia Oy’s head of production Felicia Prehn will host a session on the importance of including the disabled in product development along with highlighting some misconceptions about disabled people and accessibility. 12:00 – Our next session will focus on playtesting, specifically on how to conduct playtests if you have no budget, time or resources. 12:20 – Our first panel of the day dives into what it’s like growing as a developer in Finland. Leading the conversation is Dodreams head of studio Sami Lahtinen, with Quantum Shake CEO Luai Mahjneh, Ludocraft global sales and grand manager Anne Ryynanen and Bon games CEO Ilkka Immonen. 14:00 – Frogmind COO Teemu Maki-Patola will deliver a session diving into the soft launches of Badland Brawl and Rumble Stars Soccer. 14:20 – Critical Force CEO Veli-Pekka Piirainen is set to deliver a talk on company culture, miscommunication and what to do if your startup has grown too fast. 14:40 – King level designer Rose Thomas will give attendees the inside scope on what’s been keeping Pet Rescue Saga going through its five years and reveals how King has kept a loyal base of four million users engaged. 15:00 – Our second panel of the day will focus on promoting the games that app stores won’t, as Tamalaki owner Martine Spaans, Kavio Cluster project specialist Asmo Saloranta and Seriously co-founder Petri Järvilehto dive into alternative ways to improve app/game discoverability. 15:40 – Platonic Partnerships CEO Jussi Loukiainen will dive into the challenges the studio's non-traditional games developers faced when making hit game Lydia. 16:00 – Sybo CEO Mathias Gredal Norvig is set to give attendees a run through of how creating Subway Surfers changed the company and where they are running to next. 16:20 – As we draw closer to the end of the track, Full XP's Nikolina Zidar will take us through the process of turning webcomics into successful mobile games. 16:40 – Wrapping us up for the track is a panel featuring Tamalaki owner Martine Spaans, King lead producer Sabrina Carmona and Snowfall CEO Natasha Trygg on how to pitch fantasy games. Those 16 talks make up just one track out of 12 the show will have on offer. To find out more about the amazing speaker roster, check out the full schedule – and keep an eye out for the latest additions and updates in the run-up to the show.